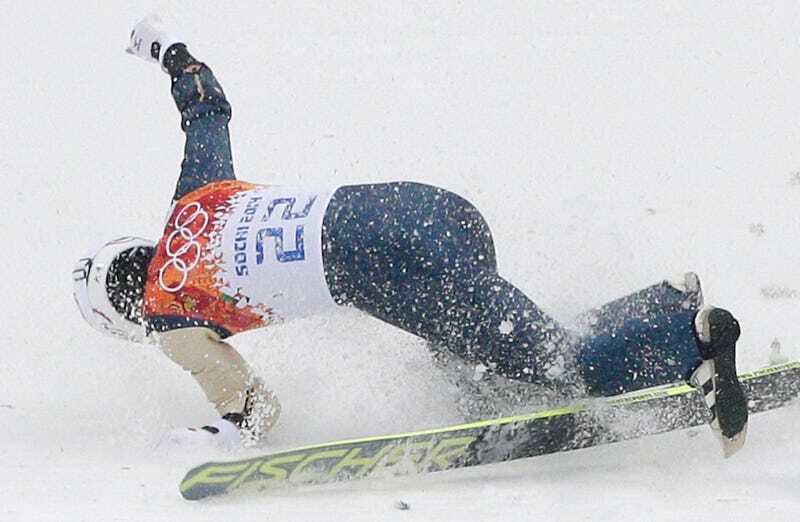 Japanese Skier Breaks Arm In Crash; NBC Video Says He "Lands Safely"
Japanese skier Taihei Kato suffered a broken arm on a run in the Nordic combined large hill event earlier today when he lost his balance after landing, hitting the ground hard. NBC's packaging of the highlight makes it sound less painful than it was. Kato will be out for the cross-country portion of the event. 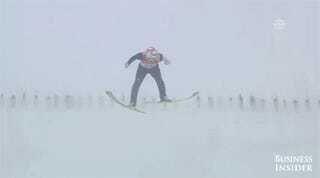 NBC put a video of the crash on its site, and the video's titled "Japanese jumper lands safely, loses ski." Even if the network didn't know about Kato's broken arm, he was clearly in considerable pain and went to a hospital. What part of that landing looked safe?